Our news feeds are flooded with them. Hundreds of apps have been created to share and edit them. Kim Kardashian even published a whole book filled with them. Yes, 2015 is the year of the selfie. We’re all obsessed with ourselves, and more importantly, obsessed with sharing our self-obsession with the world. Consumers take over one million photos of themselves every day. These photos are then shared across social media networks, influencing others in their social circles and sparking brand conversations. The average millennial spends up to 5 hours a day interacting with content created by their peers. That’s a lot of consumers taking a lot of photos and spending a lot of time with this content online. User generated content (UGC) is a powerful trend that many brands are taking advantage of in their marketing. 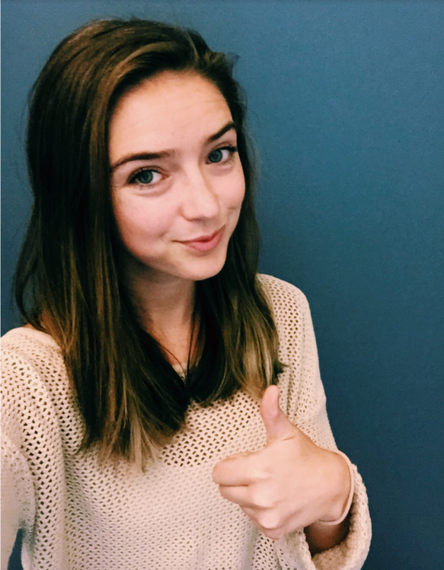 In this article, we’ll explore three brands that are currently winning at the UGC game and explore how they’re converting selfies into sales. 78% of consumers report that social media has an impact on their purchasing decisions. 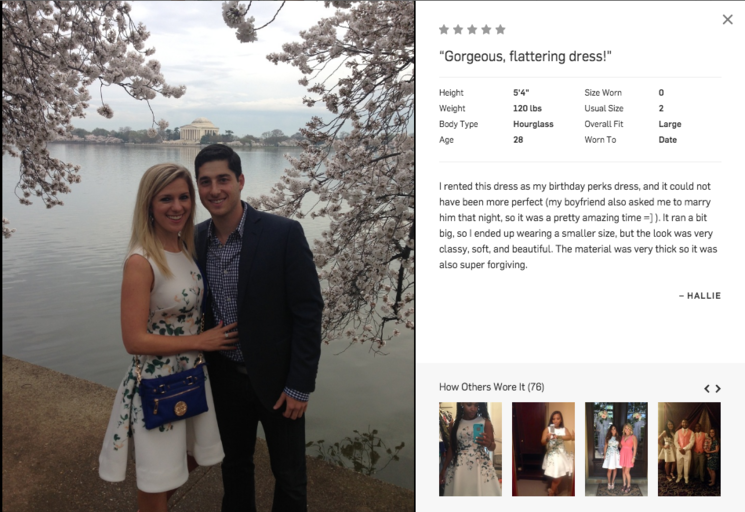 Needless to say, social proof is mandatory in today’s retail market—and it’s a driving factor behind UGC. Potential buyers are more likely to identify with real people. Branded content that’s reviewed and worn by real consumers yields higher results and creates a more authentic relationship between the brand and consumer. Each piece of inventory is accompanied by real clients of all shapes and sizes, providing feedback, tips, and overall experience with each item to help each shopper find the best dress for their size, style, and event. This type of content has generated over a 200% increase in purchases over the past year, while also forging a new type of digital intimacy between Rent the Runway and their customers and between past and potential customers as well. Similar to any marketing content, UGC can influence past and prospective shoppers to convert to active purchasers. Incorporating consumer photos within branded galleries, product pages, and checkout pages can result in a 5-7% increase in conversion rates and a 2% increase in AOV when UGC is directly incorporated into ecommerce product pages. 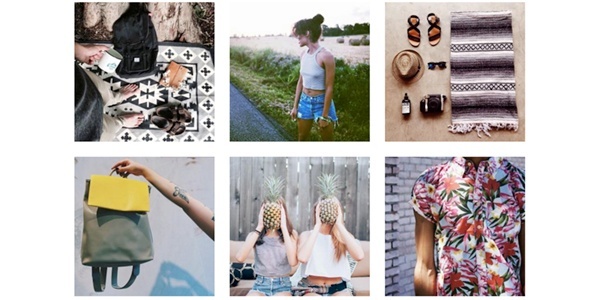 Urban Outfitters recently launched a UGC-powered campaign specifically to re-engage lost or disinterested customers, while empowering them with past purchased items. An on-site gallery of curated customer photos featuring and directly linking in products was blasted out to the inactive population of their database. They complimented this campaign with the hashtag #UOonYou and have since curated over 100K photos shared and posted by their consumers to the gallery. * An increased number of unique site visits from prospective customers. * An on-site time increase of 45 seconds on average per visitor. * A 15% conversion rate improvement. There’s certainly something to be said for content that is relatable. Urban Outfitters provided a space where every consumer can virtually be a part of their social presence, and it paid off in a big way. For anyone who hasn’t used the internet for a few years, vloggers (aka video bloggers) have become some of the most digitally-savvy influencers in the beauty market today. (I mean, I don’t know about you, but I voted for Bethany Mota on “Dancing with the Stars.”) Unlike brands, vloggers are not linked directly to any particular brand. They promote products they truly believe in and us, in the process garnering millions of devoted viewers and followers—on average, 3.3% more popular than branded video pages. Iman Cosmetics is taking full advantage of the loyal following many of these popular Vloggers have gained and featuring them in unique and interactive ways across their web & social feeds. 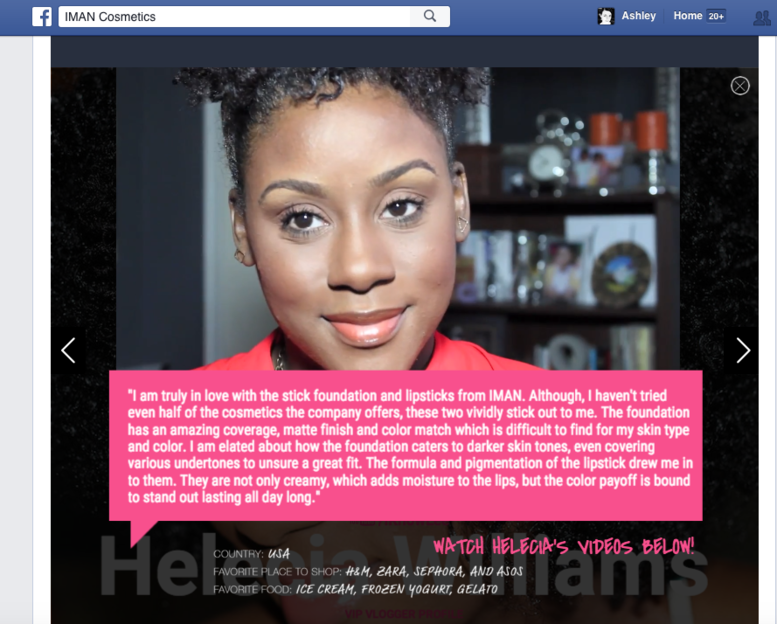 They created this unique piece of social content that has each vlogger highlighting their favorite Iman Cosmetics product and describing why they like it. It links back to the vloggers’ video streams and the product itself—a win-win for both brand and vlogger. The face of retail is changing. Long gone are the days of retouched, impossibly perfect models. The new face of retail is yours and mine! UGC could very well also stand for “Ultimate Game Changer.” It introduces a whole new outlook on how brands advertise and how consumers interact and relate to brands. Now it’s time for me to wrap this up—but first, let me take a selfie. Haaselhoff out. 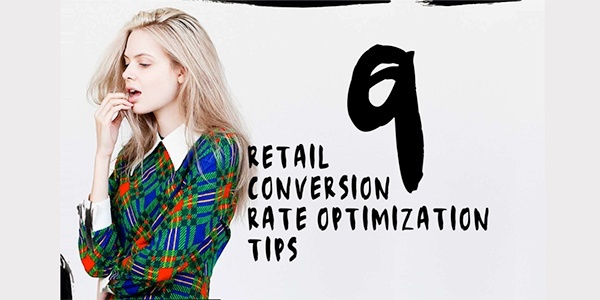 For even more great retail marketing tips, check out our free interactive guide.